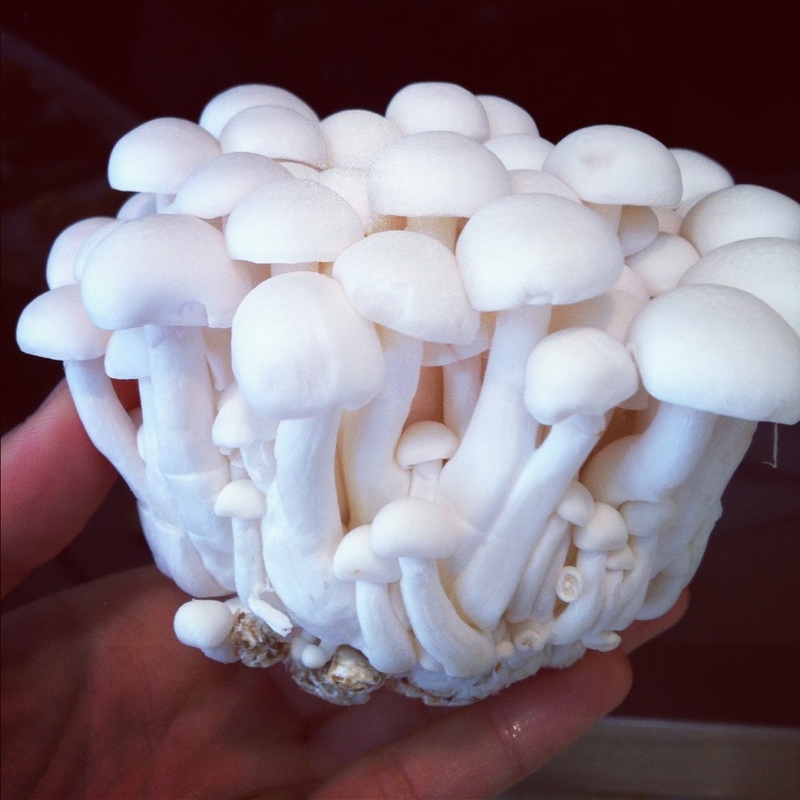 I received these cute little things in my organic share. Yes, I know…. I always reference back to that but it’s because of this share that I get to try food that I otherwise would have never bought. It’s great and I love it!!! At first I was a bit intimidated and scared about what it would taste like. So I decided to sautéed the mushrooms with a variety of other vegetables I already had in my fridge. Nothing too complicated. Just sautéed them with grass-fed butter and balsamic vinegar. 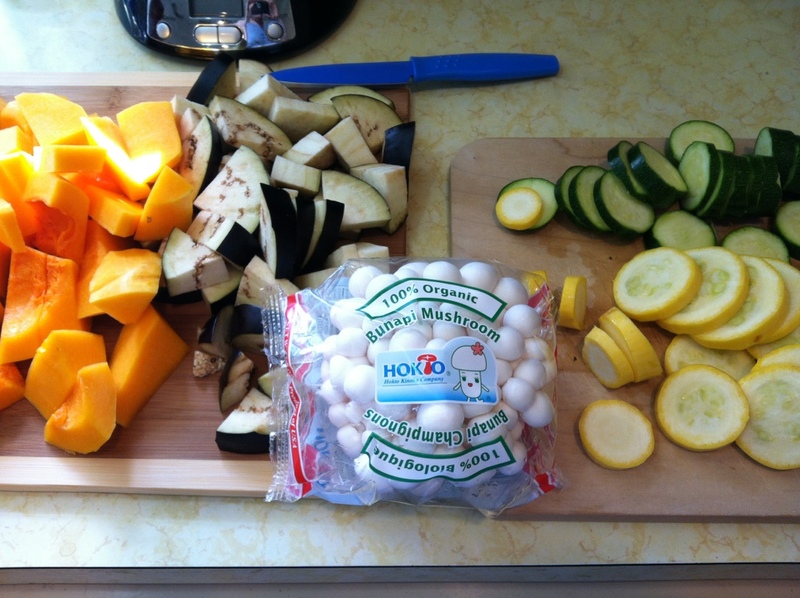 I used zucchini, eggplant, yellow squash and butternut squash. Delicious! 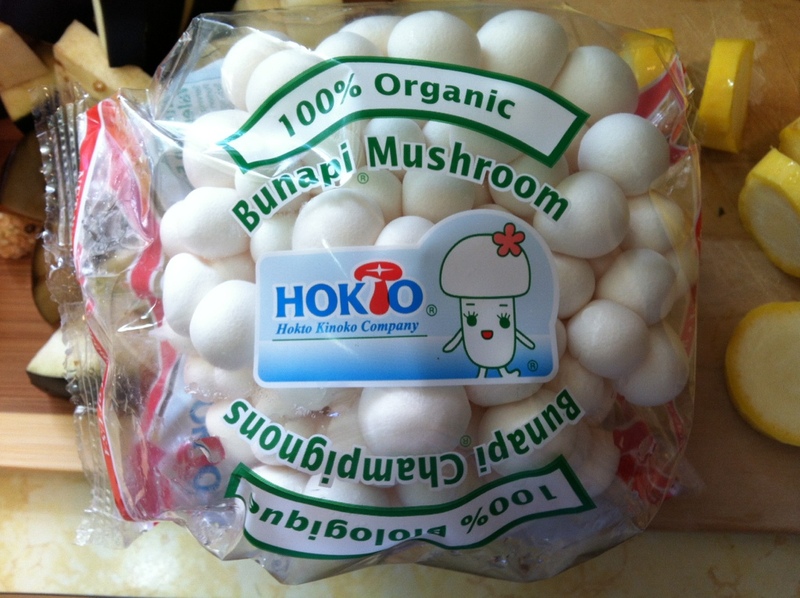 Reading a bit about Bunapi mushrooms, they are part of the white beech family. They are a great source of vitamins B1, B2, B3, magnesium, potassium, protein, iron and other minerals and beta-glucans.